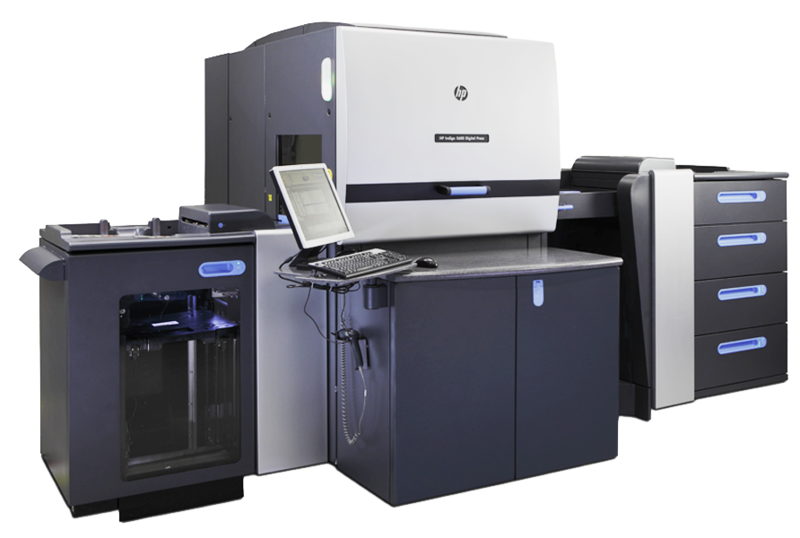 Capable of printing over two million colorpages or more than five million monochrome pages per month, the HP Indigo press 5500 is a truly universal production device. There are different types of paper that we provide with the best quality: Local Paper, Fancy Paper, Premium Paper, Metallic Paper, Sticker, etc. We also provide varities of textile & leather for your printing necessary. Also, you can bring your own materials to us and let we do the rest. A laminate is the application of a very thin sheet of clear plastic material to the printed product. It can protect the printed product more durable. Available in both Glossy or Matt Lamination. The choice is depend on your personal preference. Glossy lamination adds a shiny appearance to printed materials. Matte Lamination gives soft appearance to printed pieces and helps reduce glare. 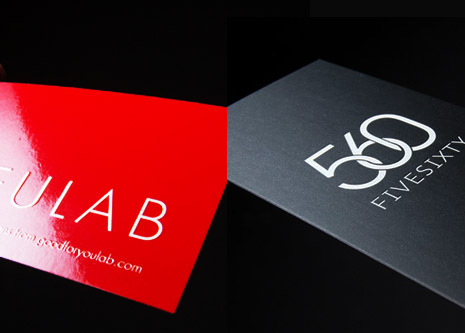 Embossing creates the paper surface by giving a 3D or raised effect on selected areas. Embossing is basically use to make something stand out from the page. It provides high-quality elegance to all printed goods, such as envelope, name card, invitations, and other promotional items. Debossing or negative Embossing is embossing into the paper. Instead of the paper raised in a certain area, it jutted. Spiral wire binds the paper together, great for a high volume of paper (up to 300 pages) or as few as 100 pieces. Saddle Stitching or staple binding is the fastest, most economical binding option. It is ideal for products such as note books, booklets, catalogues, etc. With this method, the pages and cover are glued together at the spine with a strong yet flexible thermal glue. Great for material that require printed binding or a well-defined spine. One of the simplest, oldest binding to gather pages. It is widely used for Menu, Photobook sample swatches or other printed products with hardcover. This binding simplify you to update your content and also gives luxury-classy-touch of your product. A special request from Customer, why not? We will be happy to bind your pages in any way we can. Perforations are usually used for tickets, invoices or coupons, to simplify the separation between two section of the material.